1. ARE THE CATERERS FLEXIBLE? With so many people now sampling the pleasures of vegan or vegetarian diets, together with those with specific food allergies (i.e. gluten or nuts) or even with religious constraints on what they can eat, having a caterer who can be flexible and offer options around menu choices is vital. Look for a can-do attitude and a willingness to adapt standard menu choices with dietary options to cater for the widest variety of needs when choosing who will provide the menu for your event. 2. ARE THERE FULL AV AND BRANDING CAPABILITIES? Your awards ceremony is certain to be one of the highlights of the year for your employees, clients and industry. You don’t want to miss out on a valuable opportunity to convey your company brand message while your guests are enjoying the event. Make sure the venue offers the opportunity to fully brand the awards ceremony space with your company brand imagery to remind everyone why they’re there and who to thank for laying on such a fabulous evening for them. 3. IS THERE A LARGE STAGE AREA? It goes without saying that at an awards ceremony it’s all about the awards. A large stage area is a necessity to make sure presenters and award winners can collect and accept their awards in full view of all your guests and without the need to squeeze onto a small space. You’ll also be taking photos of the award winners with their trophies and these are certain to be the most shared photos of the event afterwards in the press and on social media. Make sure the when you look at venues for awards ceremonies in London that the stage itself is expansive and impressive to make the most of those celebratory shots. 4. WHAT SORT OF ENTERTAINMENT IS AVAILABLE AT THE VENUE? Ensuring high impact events while making sure your budget is carefully managed will be top of your list when planning awards ceremonies in London. Bringing in additional entertainment to the venue is only going to increase your costs above the venue hire itself. So look for a venue that has its entertainment already built-in. At Madame Tussauds London, for example, your guests can hop on the Spirit of London ride which will take them on a immersive tour of the capital’s history, enjoy the 3D cinema and of course be treated to the full red carpet experience and the opportunity to meet all the resident celebrities and royals – including Harry and Meghan! 5. ARE THERE GOOD TRANSPORT LINKS FOR YOUR GUESTS? At the end of the night you don’t want your guests worrying about how they will get home. Standing in the cold and rain trying to find a taxi will put a real dampener on anyone’s spirits, no matter how brilliant an evening you’ve laid on. 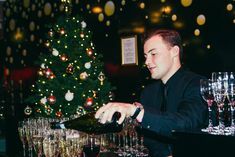 If you choose Madame Tussauds when looking for venues for awards ceremonies in London you’ll find a venue that could not be better located for transport links. Baker Street, right outside the door, provides easy links to Paddington and Waterloo and there are good connections to many other stations with options for travelling outside London and getting your guests safely back home. 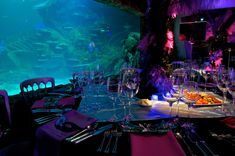 To discuss any aspect of your award ceremony needs at any of our top London attractions please get in touch. One of our award ceremony specialists will be only too happy to chat through options with you.